William August Fischer, better known as Rudolf Ivanovitch Abel was probably the greatest Soviet intelligence officer of the 20th century. After years of clandestine work in Europe and the United States Abel hit the headlines when he was arrested in New York in 1957. Sentenced to 30 years imprisonment he served five before being swapped for the American U2 spy-plane pilot Gary Powers. But what's often forgotten is that "Willie" was born in Benwell, spent his youth on Tyneside and could still revert to a Geordie accent in his old age. His father was a Russian Bolshevik who was driven into exile and came to Newcastle in 1901 looking for work. There he helped build a Bolshevik cell that ran guns from the Tyne, Blyth and Sunderland ports to the Russian revolutionaries during the 1905 uprising. 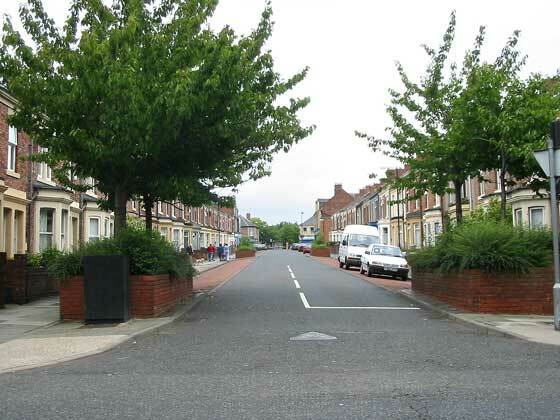 William was born at 140 Clara Street, Benwell but his family moved to Whitley Bay. There he spent his early youth, attending the Whitley Bay and Monkseaton Grammar School before becoming an apprentice draughtsman at the Swan Hunter shipyard. At the age of 16 William passed the entry test for London University and received British citizenship. But events in Russia changed his life forever. The Fischer family returned to the fledgling Soviet Union in 1921 and William joined the Red Army in 1925. There his linguistic skills caught the eye of Soviet intelligence who recruited him in 1927. William's first overseas mission was as a radio operator in Norway from 1931 to 1934. He then returned to Britain, possibly transmitting information from the "Cambridge" ring. He then returned to the USSR and worked in counter-intelligence during the Second World War.In 1948 he left for the United States for what proved to be his final mission. He spent his last years in the Soviet Union and died in 1971. He is buried next to his father in the Donskoi cemetery in Moscow.